This year has been quite the whirlwind of travel for me in my role as Community Evangelist here at SiteLock! It’s taken me from one end of the country to the other as a sponsor, speaker, and attendee, and every moment has been a blast. I’ve really enjoyed visiting so many different towns and WordPress communities. On Saturday, November 5, it was time to welcome people to my own town for WordCamp Portland 2018. 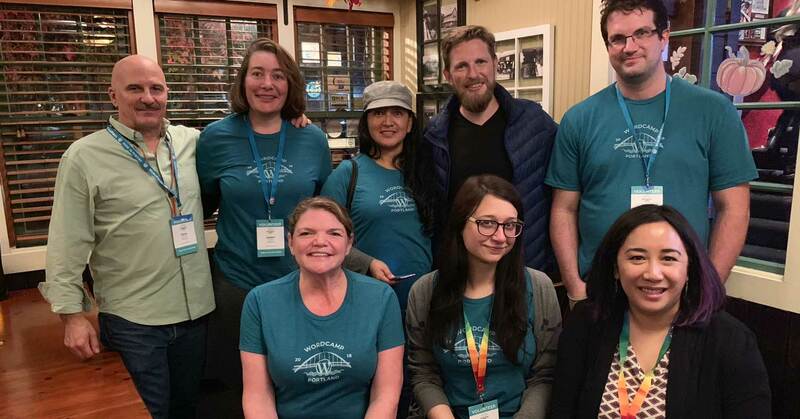 As co-Lead Organizer of WordCamp Portland, I was involved in all aspects of the event this year and we started planning all the way back in May! But on Saturday everything finally came together for one of our most successful WordCamps yet. 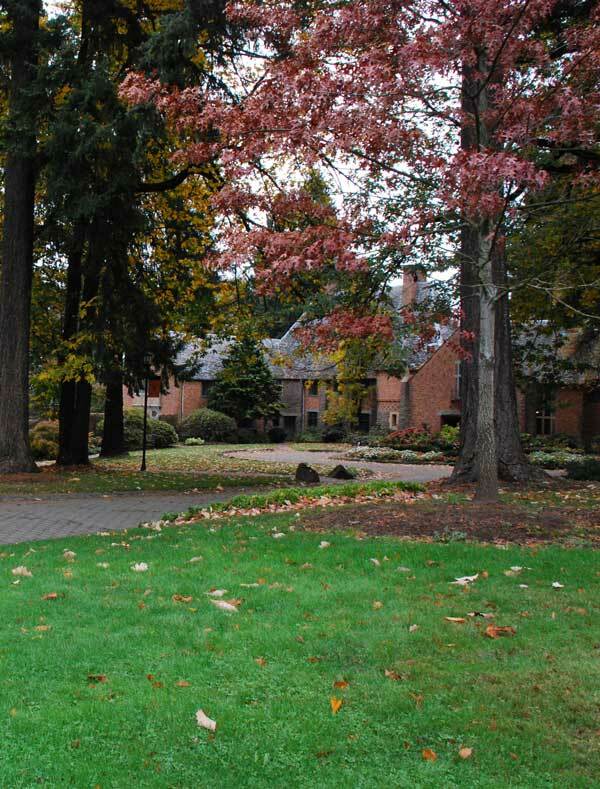 Fall in Portland can be hit or miss for event planning: it could be warm and sunny, or it could be cold and rainy. Fortunately, the rain held off all day and attendees had a pleasant walk between buildings for the main event and the Beginner’s Track. I am a huge fan of Beginner’s tracks at WordCamps, which usually consist of a full-day introduction to the dashboard, posts and pages, and themes and plugins. They give first-time WordPress users an immersive training in a supportive environment, discussing topics that many advanced users take for granted. People can be intimidated by their first WordCamp — everyone seems to know each other, and topics can get very advanced. The Beginner’s track aims to give even the freshest newcomers a WordPress welcome to the community. This year we added another room to the venue to accommodate a full day of beginner level sessions. Most of the beginner tracks I’ve attended have had an amazing turnout, and WordCamp Portland was no exception. I was beside myself to kick off our first Beginner’s Track to a completely packed room. We started with a first look into the WordPress dashboard with BobWP. 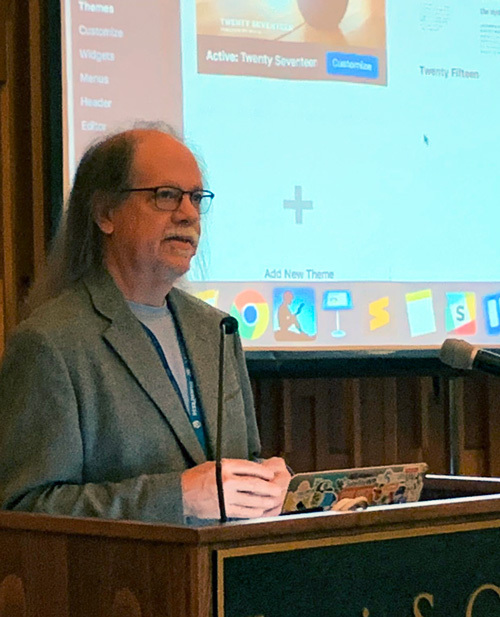 Bob Dunn has been in the WordPress community a long time, and we knew he would be perfect to kick off our day. Using a fresh WordPress install, he guided attendees through configuration settings, creating posts and pages, and managing media. The rest of the day included introductions to themes and plugins, and a full website creation walkthrough in the afternoon. Fellene Gaylord, an Associate Professor of WordPress at Clark College, first took attendees through the crucial steps of website planning and discovery. Many beginners skip this process in favor of getting to the more fun parts (like picking a beautiful theme), but Fellene warned that it’s easy to lose perspective this way. Creating a solid outline and plan for your site, while not the most exciting part, will inevitably save you a ton of time when it comes to deciding on your themes and plugins. Andrea Middleton, a Community Organizer for the WordPress Foundation, gave a thorough introduction to contributing to WordPress and the Community. There are so many opportunities to get involved! Many people feel like they can’t contribute because they don’t write code, but that couldn’t be further from the truth. The actual code of WordPress is actually just a small piece of the puzzle. Andrea covered all the opportunities there are to get involved — from writing documentation to user experience testing, to being a volunteer at a WordCamp. WordPress is a huge ecosystem that thrives because of the contributions of thousands of people around the world. 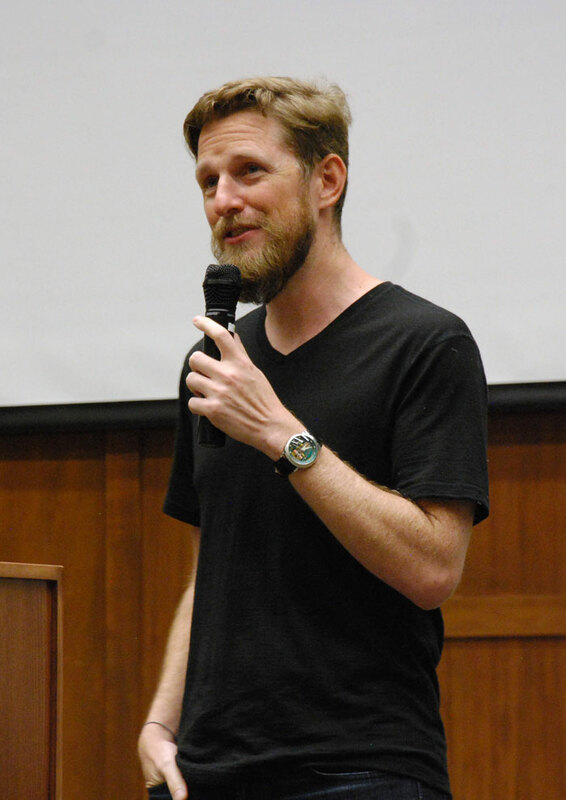 Matt Mullenweg, one of the co-founders of WordPress, stopped in for a surprise visit during our closing notes and opened up the floor for audience questions. Not surprisingly, there was a lot of discussion around Gutenberg, the controversial new WordPress editing experience that’s slated to launch later this month. When asked his opinion on the controversy, Matt reminded us all that WordPress has always been a work in progress – with each new major release, new features and technologies are introduced to replace the old ones. These decisions came out of advances in web technology, user and developer feedback, and always keeping an eye on the ultimate goal of WordPress: to democratize publishing for everyone. He also addressed the recent concerns over accessibility, admitting that there have been some project management issues on the accessibility concerns of Gutenberg. He attributes that, in part, to the way accessibility has been handled as a separate process from core development. He said that accessibility really needs to be integrated at every stage. And as someone who has worked in web development for a while, I completely agree. Many accessibility features need to be built into the development process from the beginning in order to be effective. Anyone who ever had to take a traditional desktop site and “make it responsive” knows the pains of building out new functionality on top of restrictive architecture. It takes longer to shoehorn an existing site into responsiveness, than to just build a site that is responsive from the beginning. Accessibility and mobile responsiveness have a lot in common, in that they prioritize content — something we had to be reminded of after entering an exciting world of seemingly limitless design possibilities. It will be interesting to see how the WordPress accessibility initiative plays out over time. Gutenberg is surely our biggest accessibility challenge yet! A huge thank you to everyone who attended, volunteered, and spoke at WordCamp Portland! We’ve received so much great feedback and look forward to making next year even better. See you next year! Organizers of WCPDX with Matt! LtR: Doug Knoyle, Jenny Stoffel, Eva Gardner, Matt Mullenweg, Nick Keenan, Justine Pretorious, Jamie Schmid, Courtney Patubo-Kranzke.